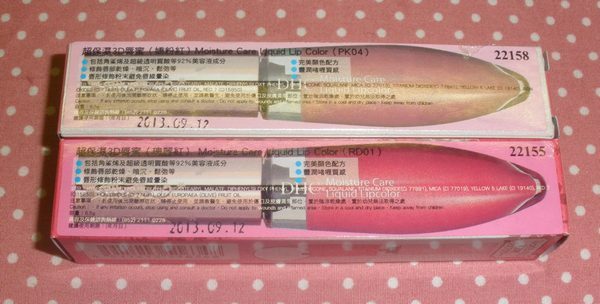 DHC really makes some great cosmetics, I really enjoy their makeup bases, eyeshadow and blusher palettes... and the Q10 Eye Zone Concealer is one of my daily staples, I think I am on my 3rd pen now. I found these new Moisture Care Liquid Lip Colors on eBay recently when browsing my favorite store (alphabeautyuk) and thought I had to pick up couple of colors to try this product...knowing DHC I expected them to be great! The Moisture Care Liquid Lip Colors come in really pretty tubes (look at the cute flower details on the silver-pink cap) with a high-quality applicator (sort of flat, long and fuzzy). 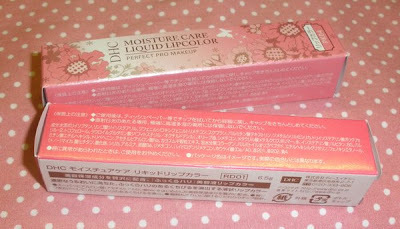 The texture is creamy but not sticky and the colors are pigmented enough to actually show up pretty well. The finish is glossy but not a mirror-shine. 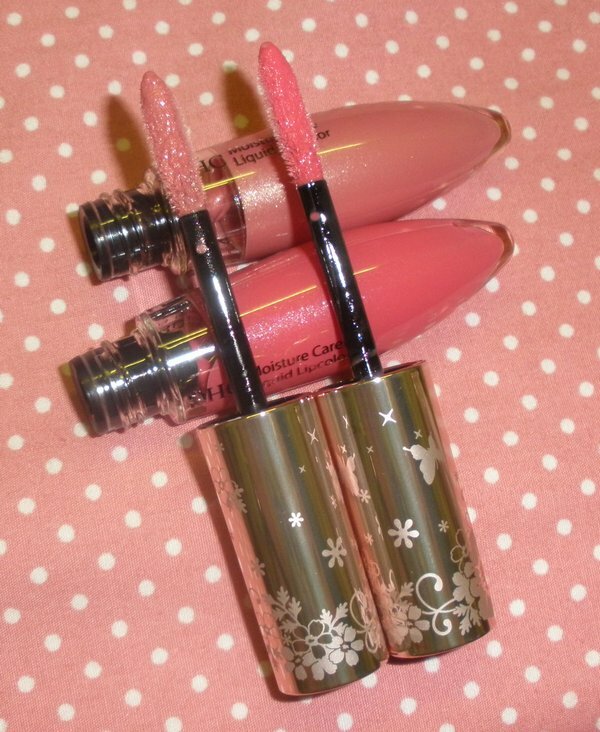 In my opinion these lipsticks/glosses wear very well, feel moisturizing and fade evenly which is a good thing to me. 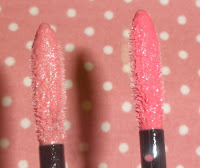 These are not scented or flavored so if you are sensitive to fragrance in your makeup this is a good product. RD-01 is a slightly bright medium pink-red with fine shimmer. A great face-brightener all in all. 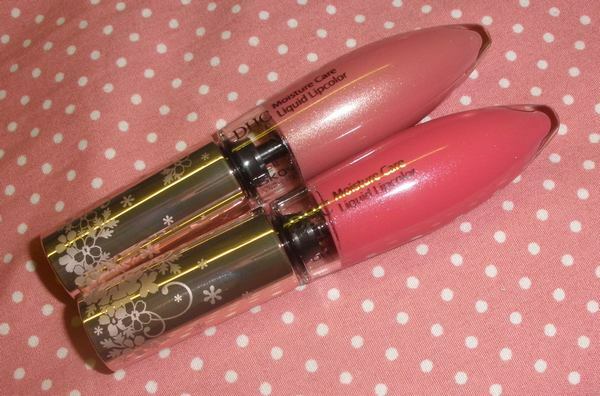 Overall I love these lippies and hope to find more colors soon! 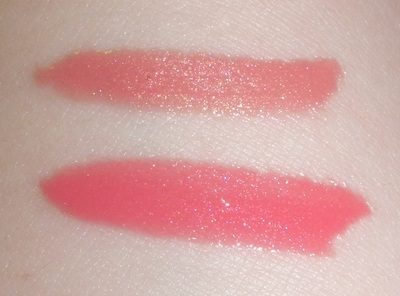 Alphabeauty is listing a beige and an orangey shade...I might eventually get the beige one but haven´t made up my mind yet. OOh! I love that coral shade! both colors are sooooo sweet!! Hey Kathi! Thanks so much for always having such great reviews. I was wondering if you could identify it? I could swear that it was advertised in one of my j-mags, but I can't seem to find the page now. I also ran through the pages at @cosme, no luck. I figured if anyone would know off-hand you would!